Rainbow HR was set up by Fiona Irvine in response to the need for more commercially based HR solutions, and with a strong focus on delivering transformational change. 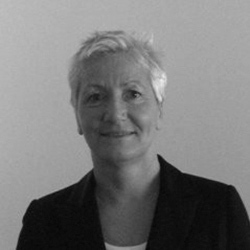 Fiona has over 20 years experience at a senior level in HR, and is a Fellow of the CIPD. Fiona has been recognised for her excellence in HR having won the HR Network HR Director of the Year and the CIPD/ASA Excellence award, during her time as HR Director at First ScotRail. Fiona has also developed her skills in the area of business and transformational change, creating effectivness and efficiency. across a range of buisness sectors. We focus on the people, developing their skills in the delivery of great results with a strong focus on delvering an excellent customer experience. We also have a UK wide network of associates - all who have a track record of delivering HR and change solutions which drive bottom line performance. For all of our clients we take the time to fully understand your business and the challenges you face. We work with your teams to ensure that our solutions are right for your business. We ensure that our project planning is robust and that change programmes are implemented altwith a clear understanding of the impact on your people and the business. We always ensure that there is a clear monitoring process in place to evaluate what we deliver. Our aim is always to bring a return on your investment. We are more than happy to have an informal meeting to undertand your business chanllenges and put together a bespoke proposal with a wide range of options for you to choose from. We have a superbly talented team of Associates in the business, with a wealth of experience in many different industries. Read on to find out more about them. Lyndsey is a member of the Chartered Institute of Personnel and Development and has a Post Graduate Diploma in Human Resource Management. She has worked in various sectors throughout her career, including engineering and education and has over 5 years’ of working in recruitment. She has been involved in the full life cycle of recruitment from advertising to offer stage. Lyndsey also has a background in Generalist HR and has supported businesses by providing advice and expertise in the field. She keeps up-to-date with legislation and is able to offer a flexible approach to business HR needs, including location and availability. Lyndsey understands the need to meet the needs of candidates by providing a quality service which enables them to find a role which they can thrive in. She also understands that every business is different with different cultures and can adapt her style of approach to suit. As an M.A. 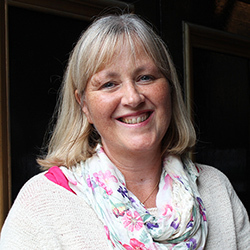 Economics and Economic History graduate of Aberdeen University, and with a post graduate Diploma in Personnel Administration from Robert Gordon’s University, Fiona is a highly motivated and dedicated Human Resources Consultant with chartered membership of the CIPD. 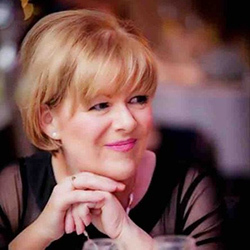 Fiona started her career in Human Resources in the Retail sector and has since has gained over 30 years’ experience of all aspects of generalist human resource management within many different industry sectors. Working as an independent Human Resources Consultant for the past 17+ years, the majority of her consultancy work has been completed for the SME sector. With a good knowledge of employment legislation, Fiona has a particular interest in the development and updating of corporate policies and procedures for employee handbooks, providing management and best practice advice to employers, recruitment & contracts of employment, and training needs analysis. Passionate about helping others to develop and achieve their goals, Fiona has worked as an HR Consultant for Adopt an Intern Ltd. since 2010 and has been an integral part of their team achieving the successful recruitment of over 800 graduates into paid internship placements within a large variety of organisations over the past 5 years. Fiona also works as an Associate in outplacement work, supporting clients with career transition, CV writing and interview skills coaching. 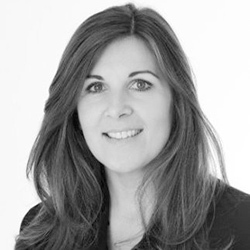 Anne has more than twenty years’ experience within Learning and Development and Recruitment. She is highly regarded in her field and has provided solutions to a wide range of clients across a variety of industry sectors including: banking, sport, retail, and Government departments. Anne prides herself on delivering first class, business focussed interventions and has a proven track record of achieving tangible results. She has a wealth of experience in all aspects of the training lifecycle and individual coaching. Client engagements include: Nationwide Building Society, Marks and Spencer Financial Services, Whyte & Mackay, Edinburgh City Council, Stirling Council, Search Consultancy, Microsoft, Barclays Bank, Glaxo Smith Kline, Freescale/Motorola and Sky Television. Anne's facilitative learning style provides learning and development solutions that have a lasting impact on staff, their performance and the business. Experienced in delivering full recruitment life cycle solutions covering all aspects of organisational needs from graduate programmes, large scale volume campaigns through to management and executive positions. Anne has worked across a variety of sectors including: oil & gas, financial services, events, healthcare and retail. She is a Qualified Social Worker, an Associate Member of the CIPD, qualified Coach and Trainer. She also has qualifications in Psychometric testing (British Psychological Society), is a Licensed TetraMap Facilitator and is a qualified Trainer for Trainers. Gaëlle is a seasoned HR practitioner, and has held senior posts in several multinationals before specialising in providing strategic HR for rapid-growth organisations. Graduating in socio-psychology in France and obtained her MBA at Strathclyde University in 2009, Gaëlle started her HR career within the software industry, before moving to VELUX (Sales & Marketing) then to Workmark, where she was the European HR Manager, looking after 10 countries. In 2006, Gaëlle joined Sumerian Europe, a professional services organisation as HR Director where she had considerable success in supporting the growth of the organisation. Since then, Gaëlle has had considerable success in accelerating the successful growth and on-going operation of many businesses, avoiding the growing pains normally associated with fast expansion. Gaëlle has excellent strategic development skills, and has excellent knowledge of employment law across a number of European countries. Fluent in French and English, as well as basic Spanish and Italian, Gaëlle demonstrates a high standard of commercial ability and an adaptable style of consultancy. 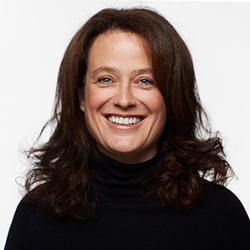 A graduate of Glasgow University in History and Politics and a Fellow of the CIPD, an accredited coach, IIP advisor, Qualified Behavioural Analyst (DISC) and an NLP Practitioner, Lesley has over 20 years experience in senior HR roles. Lesley started her career in HR with a BHS Ltd working in Newcastle, Belfast, Manchester and Glasgow. Lesley then moved as HR Manager to Makro Glasgow, the UK’s leading Multi Self Service Wholesaler and had a national role in developing policies, procedures and strategy for the entire UK operation. On leaving the retail sector Lesley set up as an independent HR consultant and was quickly appointed by a Compaq Computer Manufacturers to support their HR function. Lesley was then asked to become a permanent Compaq employee and managed site employee relations and took a lead role in restructuring design and delivery and outplacement support. After 6 years at Compaq Lesley set up Clearwater Brookes Ltd, a Human Resources and Development Solutions organisation; Clearwater Brookes Ltd provides organisational and people development support, executive coaching and outplacement support to clients from all sectors. As well as working as an Associate of Rainbow HR, Lesley is also one of the founding partners of Scotlands’ Fairy Job Mothers, an initiative which guides and supports professional candidates in CV and interview techniques and support in sourcing appropriate vacancies through using the Scottish recruitment network. Bill started his career in the Clyde shipyards and very quickly worked his way up in the organisation to becoming the companies Training Manager. For the last 25 years Bill has been assisting large and small companies develop their business strategy. 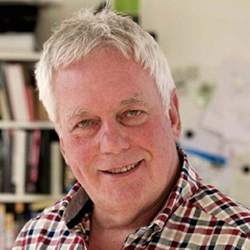 He is an exceptional business focused consultant with extensive experience in helping organisations develop and energise their strategies from board level to shop floor, across all business sectors. Particular skills in facilitating change by using simple to use techniques that add significant value. As a people person, he relates well to all client staff and engenders trust in them, thereby creating a great environment for achieving results. Bill's toolbox is bottomless - he seems to have a method to address every situation. Bill has huge energy & passion for what he does. 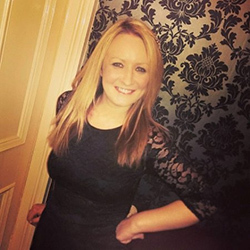 Ashlie began her career by completing the Marks & Spencer graduate management training programme where she specialised in HR and held various HR management appointments throughout the UK. She then gained national and international HR experience whilst working for Marakon Associates, a strategic management consultancy, and BNP Paribas before leading the HR function with a Scottish law firm for a number of years before working as a consultant to them. Ashlie is the founder of Magenta HR, an outsourced HR service providing hands on HR support to SME’s and third sector organisations. With a generalist HR background, and a particular interest in employee relations, Ashlie’s main areas of expertise are focused on more contentious matters including disciplinary and grievances situations, poor performance and capability issues, absence management, restructures and redundancies, and resolution of work place disputes. Ashlie often works as an independent investigator or provides support and guidance to companies dealing with employee relations matters. Ashlie has an excellent knowledge of employment legislation and often works with employment lawyers to support the operational needs of clients when dealing with potentially contentious employment matters. She is a Fellow of the Chartered Institute of Personnel & Development, a member of The British Psychological Society and is a qualified workplace mediator and holds Interpersonal Mediation Practitioners Certification with UK Mediation. Ashlie is also a member of The Merchant’s Company of Edinburgh, a board member of Community Enterprise and a Trustee of School Lunches Kamuli. Ashlie is a member of the Chartered Institute of Personnel & Development, The British Psychological Society and is a qualified workplace mediator and holds Interpersonal Mediation Practitioners Certification with UK Mediation. "My consultant continues to provide tremendously beneficial advice and support regarding my career and its progression. Discussions are always two-way, but she challenges your thinking with insightful opinions on how certain aspects of my career can be perceived."